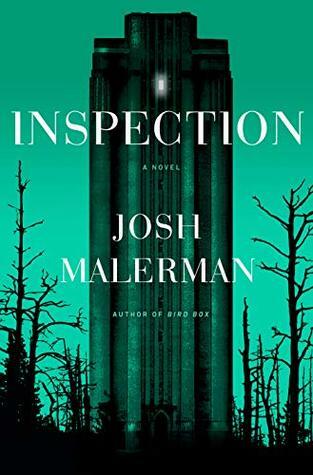 Thanks to Del Rey Books and the author for an advance review copy of Inspection in exchange for an honest review. Receiving this ARC in no way influenced my thoughts or opinions on the novel. But if there was one thing the Parenthood taught them, it was that a boy and a girl couldn’t be brave unless they were scared of something to begin with. I’m sure most of you have, by now, seen Bird Box on Netflix. It was only a world-wide phenomenon for the streaming service, a great depiction of a fantastic story, and an excuse for several people to blindfold themselves while doing daily tasks. But ask those of us who read the novel before a movie was even being discussed, and we would tell you what a magnificent work it was, how Malerman deserved a movie deal, and how we couldn’t wait to see what would come next from the author. Well, here is the next big thing in Malerman’s catalog. Though I enjoyed Unbury Carol and have yet to get to Black Mad Wheel, just the synopsis of Inspection had me hook, line, and sinker. And now, having binged through the novel over the past couple of days, I can safely say this is the author’s best work to date. The absolute originality of the story, the craftsmanship that went into holding my undivided attention, and the surreptitious reality of the characters’ situations blew me the f^*k away. Malerman’s use of the written word and the punctuation within paragraphs to fine-tune the pace, along with the capitalization of key words in certain situations just kept you wanting more. He had me at every turn, craving to know what happens next; buying time when possible to just read one more page. One more page…just one more. What happens, Warren wondered… when a man feels so much guilt that he must perform self-surgery, must remove it from his body? And what does that man do with it once it’s gone? And what does he do with the empty space? His world-building is claustrophobic yet there is this huge world yet to be explored, and the characters will have your emotions performing back-flips. Not since King’s The Loser’s Club has a group of kids had me so engaged in their story, their fight for survival and truth. I can continue on for days about how Inspection gave me the ride of my life, but I’ll just let you find out for yourself why this book is so special.